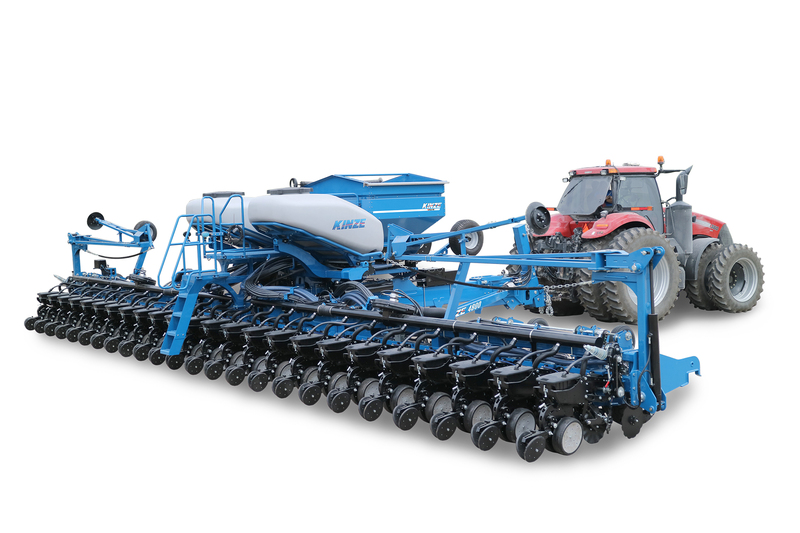 This 24 row, 70 cm planter is designed from the ground up to be more efficient and productive to get more hectares planted every day. 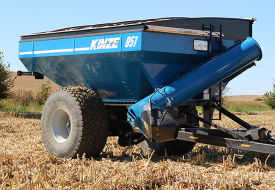 Starting with a durable front fold frame, and equipped with bulk fill seed hoppers and onboard dry fertilizer, the 4800 is fast to fill and easy to maneuver in the field. Currently, the 4800 is configured to meet the operation requirements of large farming operations, and will be field tested during 2018. It will be made available to farmers in Eastern Europe and Russia for the 2019 planting season. Contact your local dealer for more information. 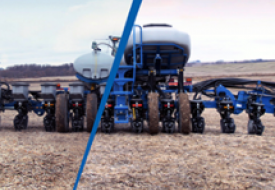 NEW for spring planting 2020, the Kinze Blue Vantage™ display and Kinze Blue Drive™ electric drive system will be available on the 4800. Learn more here. Available in Eastern Europe and Russia only. The 4,230 liter bulk fill seed delivery system significantly reduces the downtime caused by plugging and bridging, by suspending and distributing seed in a constant stream of air. With a blower fan as the only moving part, maintenance is minimal. Easy clean out, an easy-access platform, and quick-lock lids make refilling faster and easier. Increase productivity and efficiency, while managing input costs, with onboard bulk fill dry fertilizer. The 3.5 and 5.0 tonne capacity systems are quickly replenished while the seed hoppers are being refilled, getting you quickly back to the field. 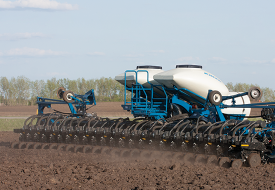 The front fold design of the 4800 planter makes moving from field to field safe and efficient. It quickly folds, making it easy to navigate down the road and through openings. With the fertilizer supply onboard the planter, the machine is compact when transporting. A key to consistent seed depth, good emergence and ultimately profitability, is row units that can follow the terrain. 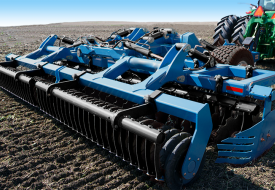 With 15˚ of total toolbar flexibility, the row units on the 24 row 4800 planter maintain ground contact on rolling terrain and terraces, ensuring your seed is where it should be: in the ground. Seeding rates are maintained by a smooth, reliable, and easy-to-operate ground contact drive system. Add Surestop™ electric row clutches for easy control of seed meters in headlands and waterways.